On 28 November 1979, Air New Zealand flight 901 crashed into Mt Erebus, killing all 257 people on board. Erebus is a visual representation of key findings of the two reports that were published about the causes of the accident on Mt Erebus in 1979. 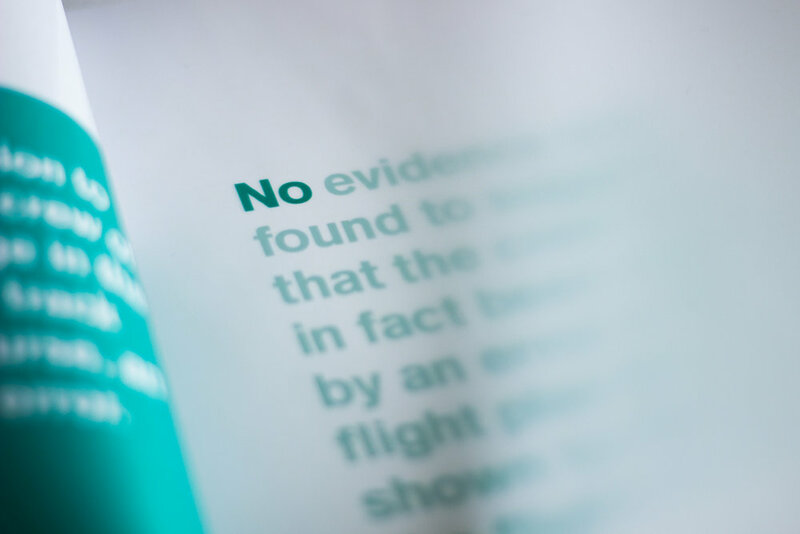 It presents the shallow conclusions of Ron Chippendale, versus the deeper investigations of Peter Mahon, in order to inform the reader about the controversy surrounding this event and the truth about who was at fault. 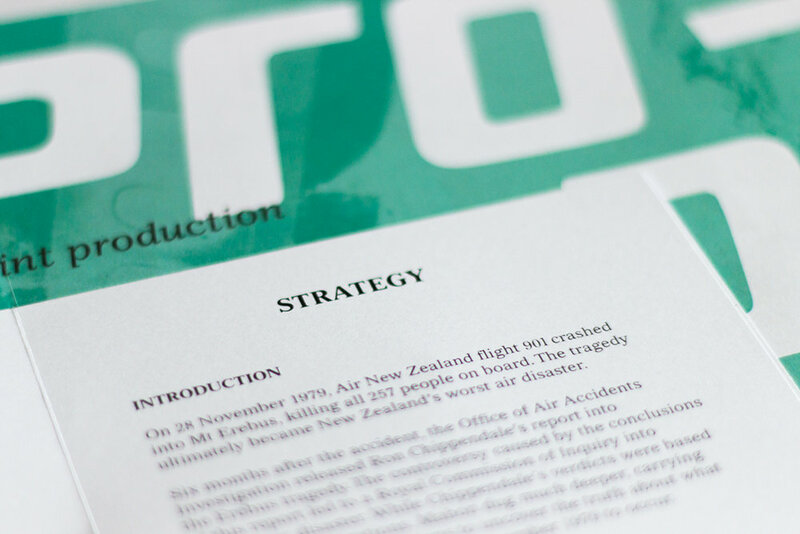 The crash, the two reports, and the aftermath of the reports, as well as the topics within the reports themselves, make up the milestones in the investigation of the Erebus disaster.